Canon DSLR and Sony A7SII mirrorless cameras and lens , Ronin-M Camera Handheld Stabilization System, Manfrotto monopods and tripod, drone camera to name some. Sounds a lot , but worth it once you see all the cinematic shots that we can produce. Yes, we do. We prefer to film using natural light. But we use our video lights when the situation calls for it. Our lights are all dimmable so we wouldn't be blinding you or your guests. What is your style of filming? Cinematic and documentary. However, we are NEVER OBTRUSIVE. Despite all the equipment we carry, you and your guests will barely know our existence during the event. Seldom and rarely do we stage shots. Who gets to pick the music? We PREFER that WE do. We take the time to know a little bit more about the couple before and during the event. Trust us that we will make the right choice in the song/music selection based on what transpired that day. We are always open though, to any suggestions. Also, due to copyright infringement, we firmly believe in paying for licensed music to be used in our films. Our style of editing is NON-LINEAR. We are storytellers and we focus on YOUR STORY rather than with material details. Details are included but well curated, not chosen in random. Remember, we create modern day wedding films and not your " grandma's wedding video." Expect the unexpected. Guaranteed to tug the heartstrings. Prepare to shed a few tears if you must. ALL our cameras are manned. It's all about YOU on that day. We should be the last thing on your mind. However, we pray to God that you do :) We are covering your event for approximately 8-10 hours, a HOT vendor meal (pretty please?) for our team of 3 will be greatly appreciated. Having one of your vendor passing out during the event is the one thing you would never ever need or want. We are not picky eaters, none of us are vegans or vegetarians. If you compare our rates and the services that go with it with other videographers, our pricing are quite competitive. 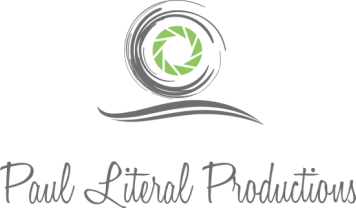 We continually invest in the technology and equipment that we use to further improve the quality of the films that we produce. Our team works hard. We are truly proud of our work and we'll make sure that we are worth every cent that you paid us. Rather than having add - on options, our package already includes those extra special services such as aerial footages, audio during the getting ready moments , vows during the ceremony, speeches during the reception, etc. Is your time frame for the full edit video restricted to 15-20 minutes? What is the difference between the highlight video and the full edit one? Why can't I just have the full edit one instead? The beauty of the highlight video is that you can easily share it to your family and friends through social media, and will be ready for viewing 3 days after the event. You can share your special day to people without them having to sit for 15 minutes or more. The full edit will not be ready until at least 24 weeks after the event. Can you really wait that long? Is there an option to get coverage for less than 8 hours? In some special circumstances we can ( A party of less than 20 people in total, including the bride/groom,guests, etc) be flexible. However, if your event will include more than 50 people in total, it would be quite difficult for us to cram everything we need to do to produce an outstanding video in less than 6 hours. We don't want to rush your wedding just so we can get our shots given the smaller amount of time frame given to us. You don't rush perfection. How well do you work with other vendors? Really great! Despite our need to get our shots, our mantra is "give and take". We try to adapt to the situation. "Hogging" is not in our vocabulary. We are pretty much a bunch of nice people. No, but we can refer you to awesome wedding photographers that we have worked with. Yes, we do!!! Whatever city, state, country, or continent... count us in!